Energy Ecstasy orchestrates four cosmic frequencies and their harmonic overtones into a musical journey that is energizing and balancing on four different levels. G -The Earth day tone is invigorating and stimulating on the physical level. C# -The Earth year tone feels relaxing and soothing to body and mind. F -The tone of a Platonic year has a clarifying and cheering effect on the emotions. B -The tone of the Sun is the tone of experience on the quantum level; beyond space and time. Both soundtracks on Harmonic Planet are recommended for deep meditation, profound relaxation, lucid dreaming, anchoring affirmations and releasing "stuck" feelings, patterns and behaviors. Its cascading and at-times 'angelic' sounds are highly relaxing and soothing . . . Any body suffering from modern-day stresses is bound to enjoy the relief this music offers . . . (the sounds are) conducive to improved functioning and renewed pleasure . . . definitely a pleasurable experience! There are no limits to the level of vibration we can attain with the aid of this extraordinary tool. Thanks Brian! 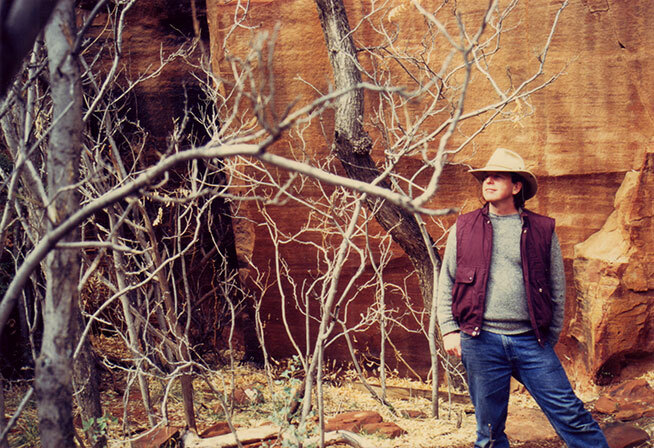 Brian Caldwell BioNeuro-Ambient musician and composer, R. Brian Caldwell began exploring the sound/consciousness connection with his wife Suzanne in Santa Fe, New Mexico in the 1980's. Together they built and operated "Waters Edge," the Southwest's first public dual flotation/isolation tank facility. Within the tank's dark, silent, and weightless environment, they explored worlds of sound and consciousness using underwater sound transducers specially designed speakers that transmit sound to the entire body.From their research, ancient and contemporary sound/mind techniques were combined together using modern technology and custom-built electronics. Their most effective techniques were skillfully blended using state-of-the-art equipment into the Metasonics series.Produced at Caldwell's MetaSonics Sound Studio in magical Sedona, Arizona, MetaSonics integrates techniques developed during his nearly 30-year-long exploration into the sound/mind connection now benefiting thousands of users and therapists worldwide.